Let us create something special and custom for your home. Get your ART on! Stop in and take one of our many classes. 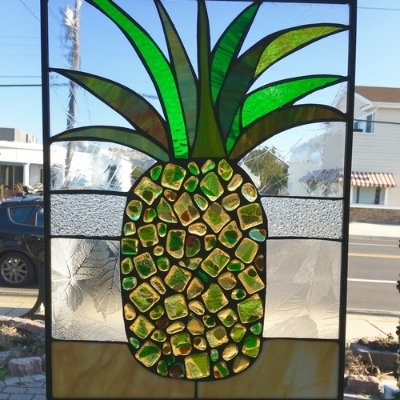 Now offering mosaics, fusing, bead making, and stained glass. Looking for that PERFECT gift or custom art for your home? Check out our SHOP and stained glass series: RECLAIMED, PRIMAVERA, 100 WAVES of SUMMER and WINTER SOL. Come see our latest collection titled "Origin." This is a series of Sun inspired panels representing each day of Spring. Bring us your sea glass and have it bezel set in silver on premises by our talented artisans. We make custom bridal jewelry, wedding gifts and party favors.